Why Data Centers Worldwide prefer Partschase as their server parts distributor? 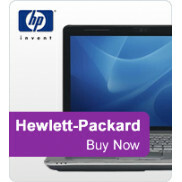 New Server parts from IBM, HP, Dell, and Cisco at below distribution price. Wholesale refurbised servers and server parts. Direct personal customer service. We can help you find those end of life, hard to find server parts. If the item exists, we can find it. Over 15 years serving Data Centers Worldwide. PartsChase.com focuses on providing wholesale discounted spare IT Server computer parts worldwide. Our expert staff are very familiar with the Server computer parts markeplace. We continuously expand our product stock of "Hard-To-Find" computer parts through our partner distribution channels, so that we can keep up with our customers requirements. Today Partschase is among the world's "Go-To" Server Computer Distributor of Excess computer server parts, Closeout Wholesale Server parts, and Wholesale consumer electronic equipment. By choosing PartsChase as your Server Computer Reseller vendor, you are joining a reliable source of Wholesale Server Computers, and Wholesale Electronics. Make PartsChase your Computer Supplier today.